The Kano state Commissioner of Police, Mohammed Wakili has on Thursday apologised to the Nigerian Bar Association (NBA) over molestation and unlawful arrest of its members by policemen. The apology came barely 24 hours to expiration of a 48-hour ultimatum by the Kano NBA to Wakili. The Nation reports the NBA in a statement on Wednesday said armed policemen had molested and arrested its members working at an election petition secretariat. The association also accused Wakili of being partisan in the discharge of his duty. However, on receiving the information about the ultimatum, the commissioner appeared at the NBA secretariat on today to tender an unreserved apology. Speaking to newsmen after the visit, Wakili said he decided to come by himself to say sorry after he investigated the incident that led to the arrest and detention of two lawyers. “After receiving the complaint and even heard it through the media, I launched an investigation and found that they were unlawfully arrested. “Therefore, I deemed it fit to go there myself and tender my apology. I am a Police man who discharges his duty within the concept of law,” he said. The CP also urged the association and other people to challenge him whenever he goes contrary to law. The state secretary of the association, Mujtaba Adamu-Ameen, commended the CP for the gesture, describing him as a professional and ethical cop. L-R: Former President, Crime Reporters Association of Nigeria (CRAN), Christopher Oji; Commander, Rapid Response Squad (RRS), ACP. 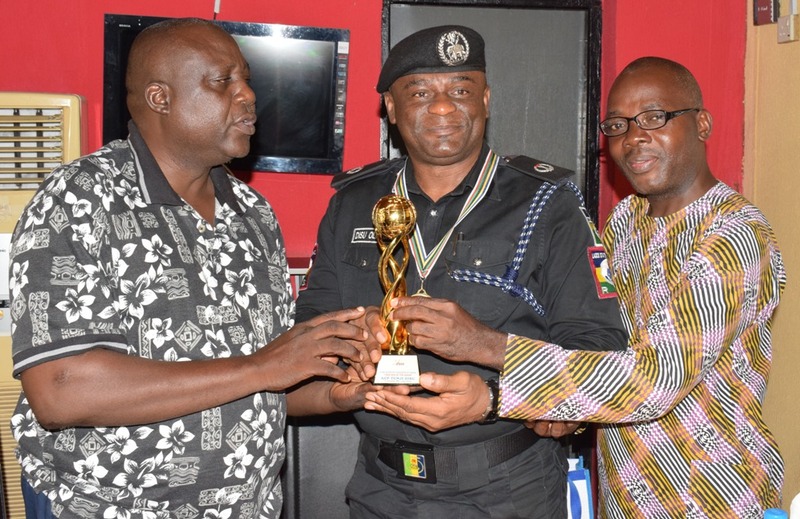 Olatunji Disu and CRAN Executive member, Moses Omoregie, during presentation of award to Commander RRS as 2018 CRAN Man of the year in Lagos on Friday. The Economic and Financial Crimes Commission (EFCC) has appointed Mr Tony Orilade its new spokesman. Orilade, who is the Commission’s Head of Public Interface Unit, will act in Mr. Wilson Uwujaren’s stead. Uwujaren, the Commission’s Head of Media and Publicity is away on a month-long training at the National Institute for Policy and Strategic Studies, NIPSS, Kuru, Plateau State.